Now one of New Orleans most sought after and stylish venues, The Chicory’s beginnings were actually quite humble. It was constructed in 1852 and first began as a simple coffee warehouse, a staple in the New Orleans culinary culture. To make the coffee supply stretch further, New Orleanians added chicory to the mix, creating the unique and delicious flavor that is now world renowned. 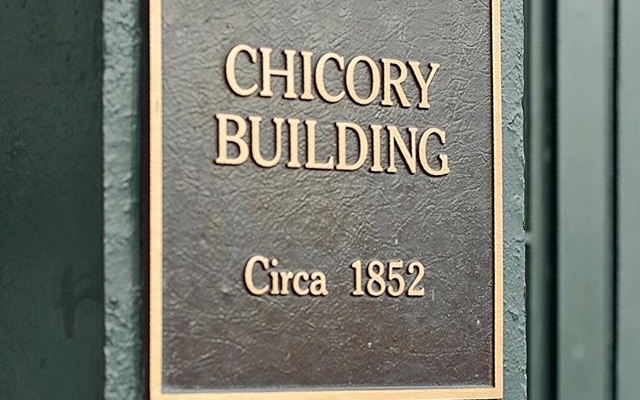 We decided to honor the building’s history, by choosing our name to be The Chicory. We preserved the architectural integrity of the building to provide an authentic New Orleans experience. In our event space there are pressed tin ceilings, gas lanterns, exposed brick and original beams, creating a quintessential New Orleans experience. The Chicory offers an event space as unique as the city itself.